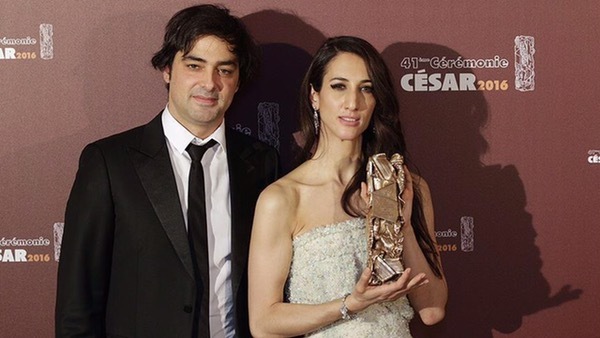 Franco-Turkish director Deniz Gamze Erguven’s film Mustang won four awards at the Cesar film awards in Paris on Friday night. The film, which focuses on five teenage sisters living in rural northern Turkey, won awards as best debut film, best original screenplay, best original music and best editing at the 41st Cesar ceremony at the Theatre du Chatelet. The highly acclaimed film, which tells the story of sisters fighting against their restrictive family environment, has also been tipped to win an Oscar for best foreign language film on Sunday. Erguven, 37, who was born in Turkey but raised in France, was named one of Variety magazine’s Ten Directors to Watch last year. Philippe Faucon’s Fatima won the best picture Cesar while the best director award went to Arnaud Desplechin for My Golden Days. Catherine Frot took best actress for her role in Marguerite while Vincent Lindon won the best actor award for The Measure of a Man. Michael Douglas received an honorary Cesar for his career achievements.